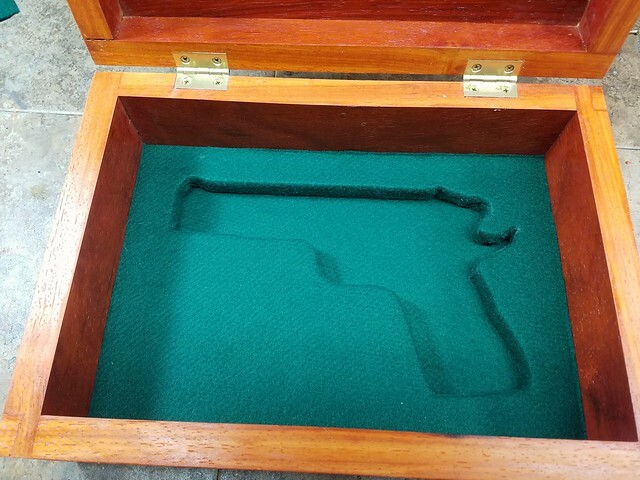 The family of a retiring USMC officer commissioned me to put together a special gift for him. and engraving. 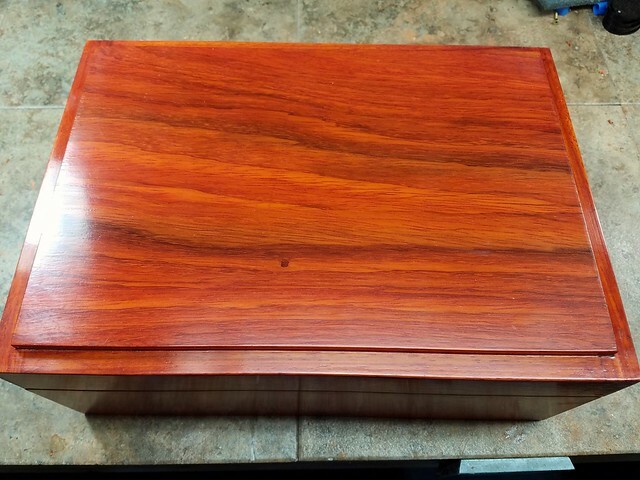 The family also wanted a presentation box so I built one out of African padauk. David, that is great! My first thought was, many people wanting such a presentation gun would not know where to go and would wind up getting something that was, well, awful. That they were knowledgeable, or lucky, enough to find their way to you for something like this, I would call it "worked out well". 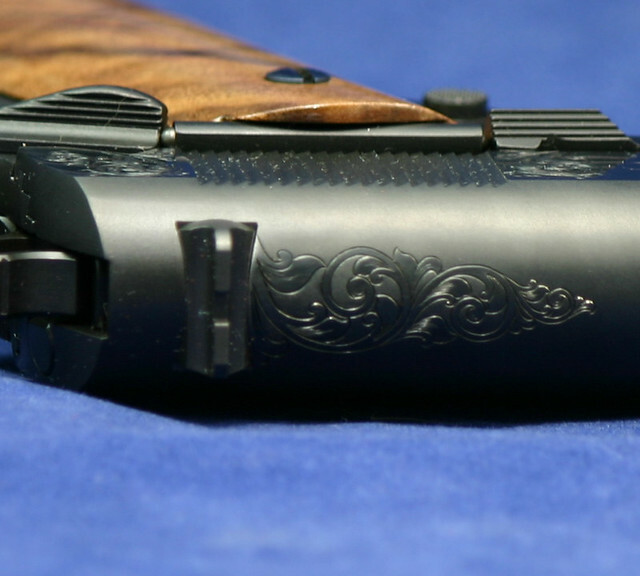 Are you doing engraving? That one is done "just right". The box was a bit of work, eh? I make a mess out of everything I attempt in wood! Great job for a great reason, thanks for posting. Thank you very much. It was a lot of work but it was a lot of fun too. I spent a lot of time in my dad's woodworking shop growing up and am slowly working my way back into the craft. Yes sir, I am engraving as well. 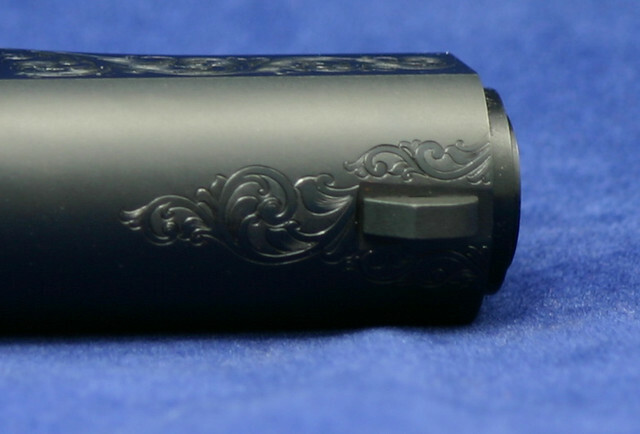 Most of the engraving work I do is lettering and roll marks but I do have a couple more big scrollwork jobs in line right now, one of which will also have a presentation box. That one will be walnut and curly maple. Nicely done, David. Tasteful with all the right boxes checked. I love your work. That pistol looks great. It is simply elegant. If I hadn't retired a few years ago, I'd give my wife a few hints about a retirement gift that would come from Colorado. 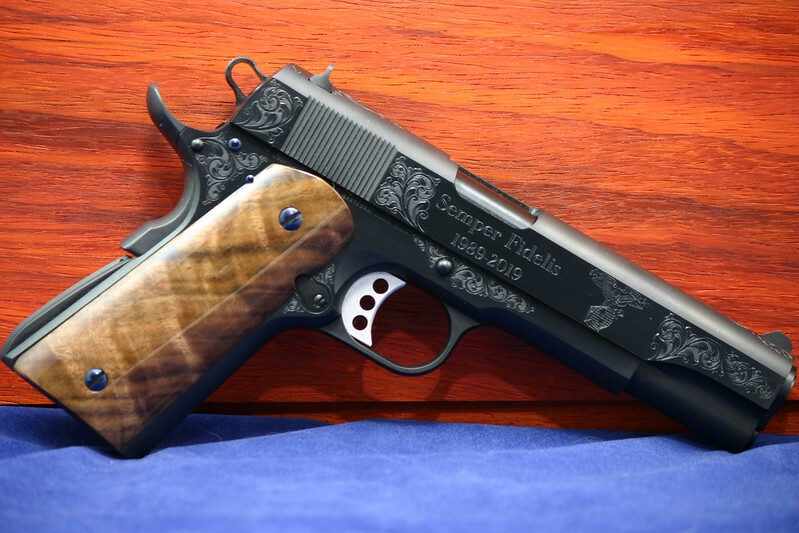 Very nice and classy looking pistol. Congratulations to the new owner on a beautiful piece, his retirement, and a big thank you for his service. OUT F_ _ _KING STANDING! Semper Fi, and RIP, Gunny! "... behold a pale horse: and his name that sat on him was Death, and Hell followed with him."